Think of us like the Youtube for voice entertainment, where the best content is recommended to you, and anyone can create and share content, without coding. Storyflow does have stiff competition, however. 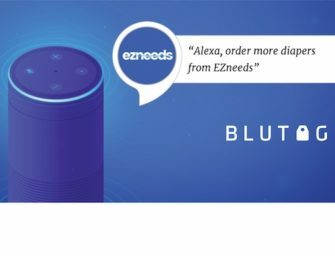 In April, Amazon released the Alexa Skill Blueprints, which also features a drag-and-drop interface for building Alexa Skills. Storyflow’s development also comes after Storyline’s July $770,000 funding announcement led by Boost VC. And since its launch in 2017, Storyline has accrued over 12,000 users who have launched more that 2,500 Alexa skills using a similar drag-and-drop visual builder as Storyflow. Back in April, CEO of Storyline Vasili Shynkarenka said he was not concerned with the Alexa Skill Blueprint launch, and instead saw it as a good thing because it promoted awareness of Alexa and voice app development in general. The growing accessibility of tools like Storyflow, Storyline and Alexa Blueprints, which provide non-technical users the ability to develop voice apps on their own, can only increase user activity, spur creativity and help popularize voice assistant use. If the past few months are any indication, investors also see the benefits and the potential monetization of these platforms as well.